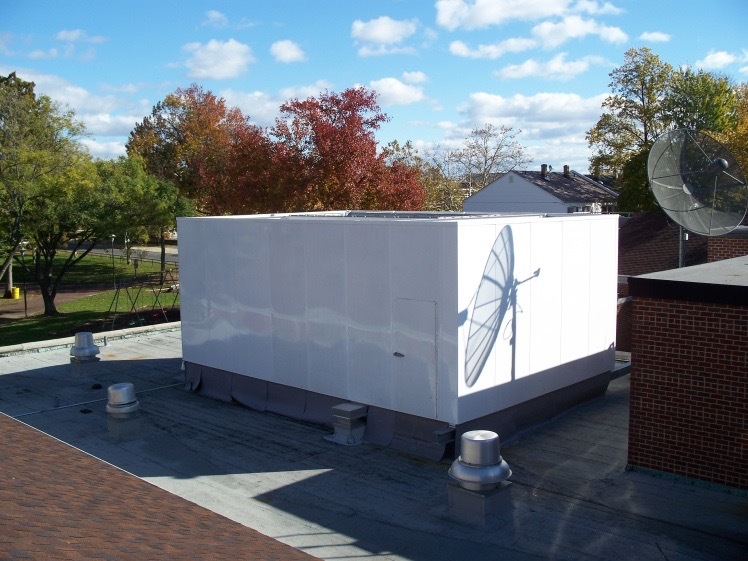 Air Cooled Chillers – BRD Noise and Vibration Control, Inc. Source treatment is a measure taken to reduce the amount of noise generated by the source rather than treating the symptoms of the noise. 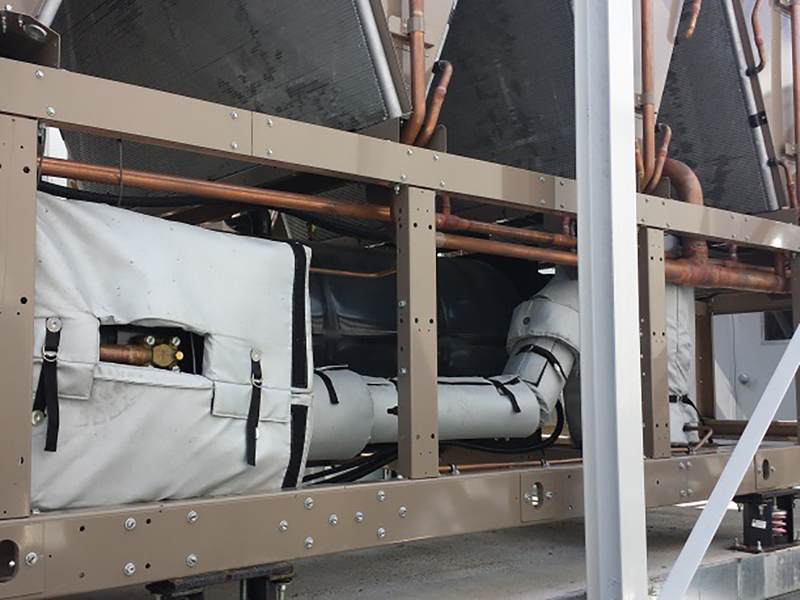 Common source treatments include HUSHCORE™ products to attenuate the compressor circuits, the condenser fan air intakes and the condenser fan discharge/exhaust. Path treatment is a measure taken to increase the resistance of the noise path to prevent the noise from reaching surrounding buildings and the community. Common path treatments include HUSHCORE™ products for fence mounting, independent acoustical barrier walls and full enclosures.